I've wanted a leather jacket... forever. I have a few faux leather jackets, but there's nothing quite like the real thing. I've tried many a few on, and even bought and returned one, but I've just never been able to find the perfect one. Then, earlier this season I saw a blogger wearing one I loved. 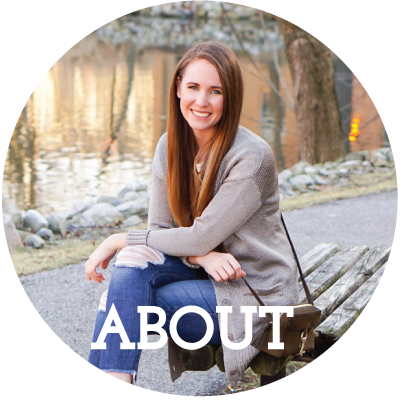 I immediately clicked the link and was pleasantly surprised when it was quite affordable! However, I had never shopped at The Lookbook Store, and wasn't sure how sizing ran, and when I asked she never replied. So, I continued my search. A couple weeks later, much to my delight, that same company reached out to me about collaborating. I was still completely lusting after the jacket, so I immediately agreed. When it arrived, I could not have been more satisfied. The fit was perfect, and I have worn it countless times since already! PS! If you're in the St. Louis area, I would LOVE to see you this weekend! 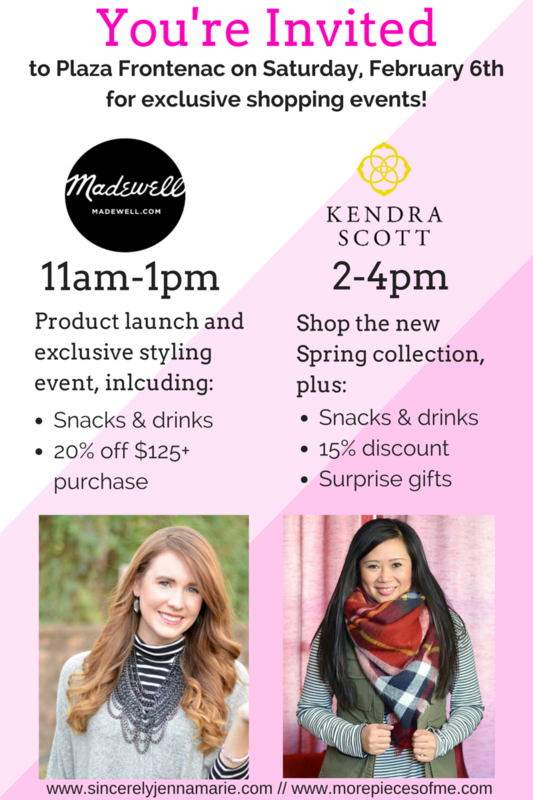 Caryl and I are co-hosting TWO events on Saturday, one at Madewell and one at Kendra Scott. 11am-1pm Plaza Frontenac 20% off $125 purchase snacks and drinks provided ps- bring a pair of old jeans to recycle for $20 off! Gorgeous look! 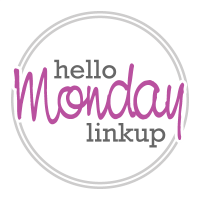 Thank you for hosting and hope you are having a fab week! Such a chic outfit, the red plaid really stood out among the black. Love the details on your new jacket! Thanks for the Link Up! Jenna, that is so fortuitous how that worked out...AND you look fabulous! Win! I appreciate Hello Monday and thank you and Carylee for hosting us. I know how hard it is to find a moto jacket that is just right! Love this one here, it's rocking with the plaid top! All of the layers in this outfit are just amazing! 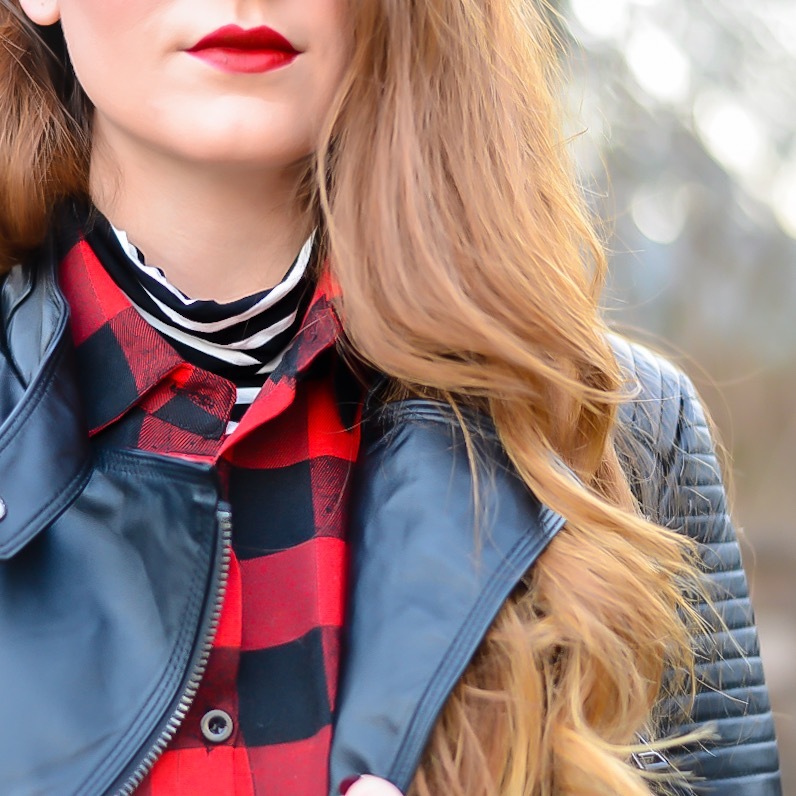 Loving the leather + plaid + stripes. I how you not only layered your clothing but mixed prints! Plaid and stripes look good together! I also love your jacket and bucket bag. Love the boots and the bag. Very cute! How fun! I wished I lived in MO :) Have a great time! Oh what a gorgeous leather jacket! That's something I've had on my wishlist for quite a long time but haven't found just the right one yet. 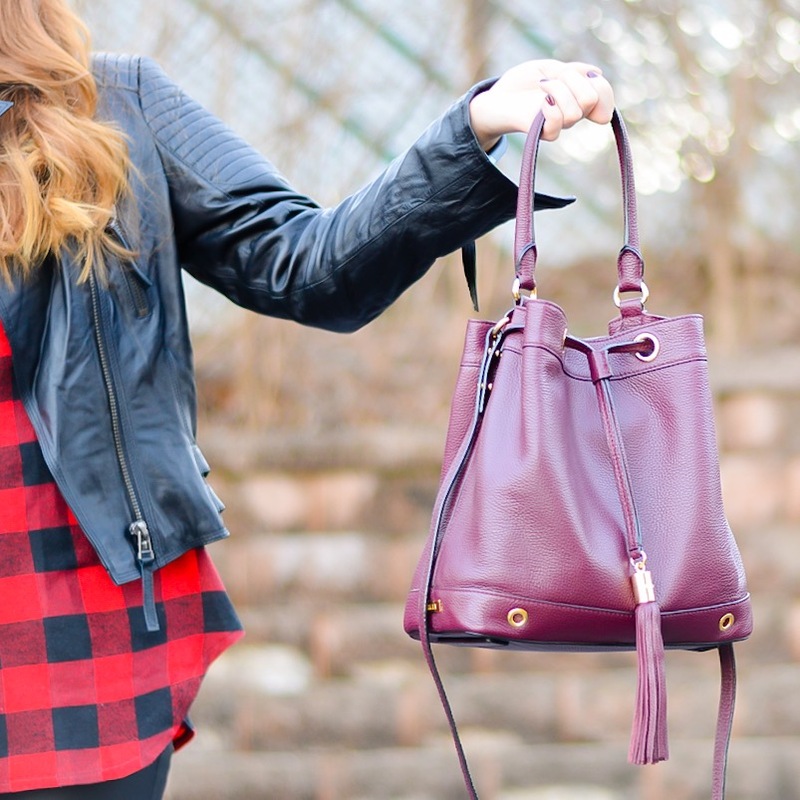 Love it with the buffalo plaid! 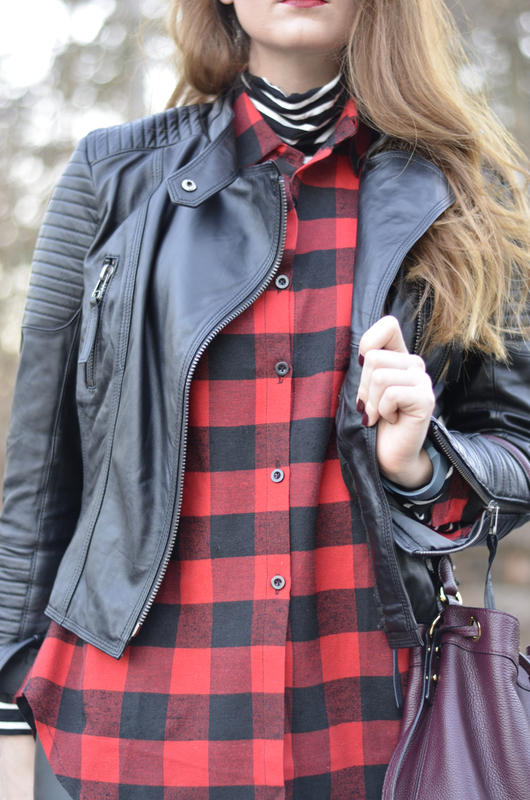 This leather + plaid combo is so perfect for winter! What great pieces!